I’ve recently upgraded to Lion. 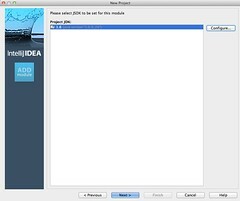 Given that my next project is [likely] Java, one of the first things I moved on was setting up my favorite Java IDE: IntelliJ. Any of the above will work. 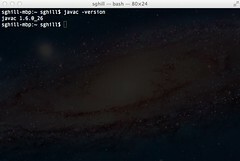 We know we’re ready to move on when typing javac -version returns a version number instead of launching an installation prompt as shown below. 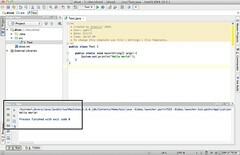 The folks at JetBrains have really made a name for themselves in the managed code development space. I found out on my last project that ReSharper was absolutely critical to writing good C#. Refactoring ability and keyboard shortcut intuitiveness is second-to-none. 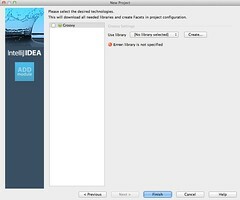 It’s much the same with Java, and now that they’ve released an open-source community edition of IntelliJ IDEA, there is every reason to try it out. 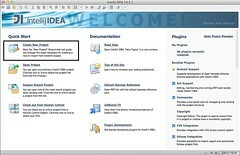 Halfway down the IntelliJ page is the download link for Community Edition. 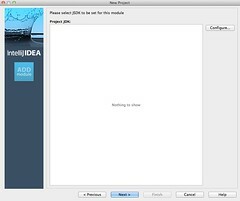 Nothing too fancy about this installation process — download it, drag IntelliJ to the Applications folder and launch it. It will take a while to launch; oh, Java. 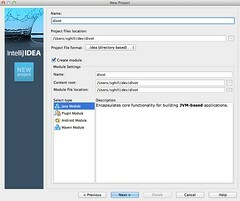 Now that we have IntelliJ launched, we’re ready to start a new project by clicking on the link in the upper left-hand corner. 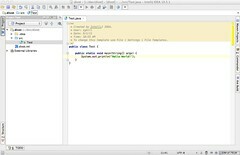 IntelliJ will create a src/ directory for us in our new project. Click Next >. This is the last potentially frustrating part. 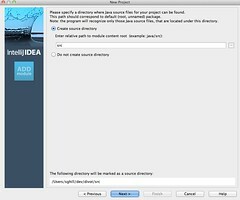 IntelliJ can’t find the JDK by default. 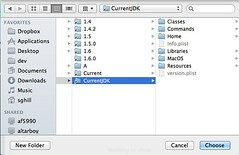 Click the Configure… button on the upper right-hand corner to open a Finder window. 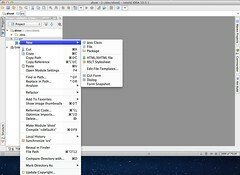 Select the folder and click the glowing Choose button. 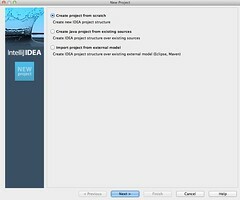 Success means we now have an option in our Project JDK: list. Click Next >. 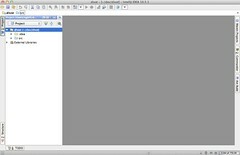 The project has now loaded and is looking fairly blank. A dialog box pops up asking you to name your class. I’m going with Test. You can compile and run this code with three keys — control + shift + F10. If all goes well, an output window should appear on the bottom with our friendly greeting. In this walk-through, we accomplished a few major things.